The following is a list of known Scottish brickmarks (including special shapes) in that a physical example exists and it has been photographed. Clicking the link will bring up information about the brickmark with photograph(s); when and where the brick was found, where it was manufactured, if known, and any additional information about the brickmark and brand and about the manufacturer. In some cases alternative possibilities are recorded. In certain cases there is some useful industrial heritage information which some viewers will find interesting. Additional information about the brickmarks is always welcome. I hope you enjoy your visit. The ‘Green‘ links take you to my own brick examples . The ‘Blue‘ links bricks in the possession of other collectors or those I have left in situ. The ‘Orange‘ links are bricks where the brick maker is unknown but the find location suggests Scottish origins but this is still to be confirmed. 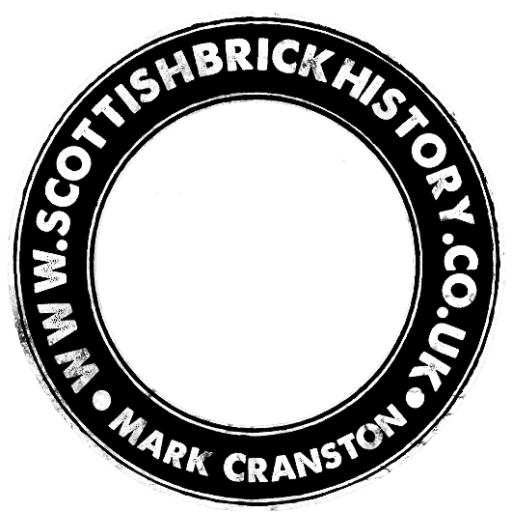 If you have a photograph of a Scottish brickmark, that is not detailed here then please feel free to forward it and I will list it. I would be very grateful indeed. The list is in alphabetical order as per the actually brickmark, as it appears on the brick. GARTFIRE SCOTLAND – Unidentified brickworks – definitely Scottish.